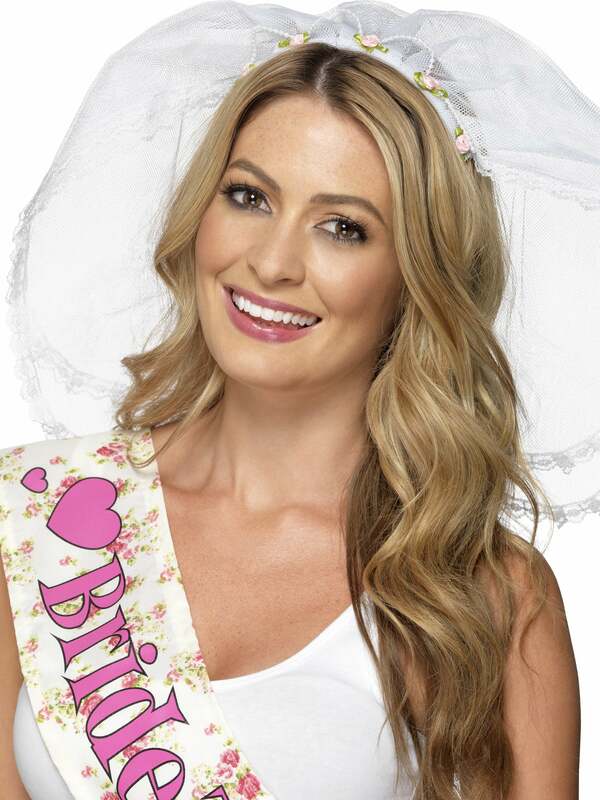 Every Bride to be needs a traditional veil for her hen night. Ready to practice for that special day. This fun white veil comes on a headband and features pink delicate flowers and a lace trim. This is a good quality item that will make your bride to be feel pretty and officially a learner bride. Really cute veil! Bride loved it!